Clay. 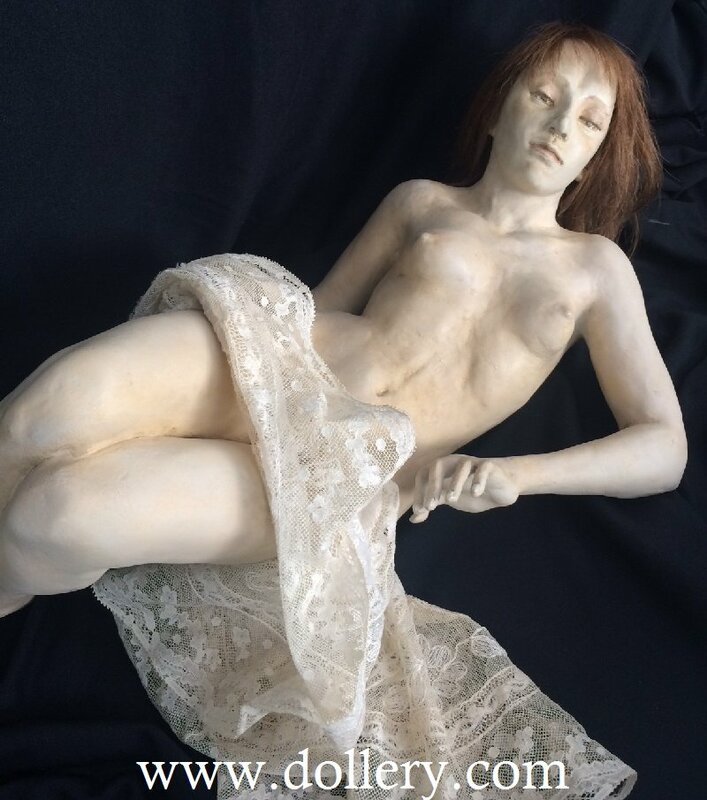 Woman laying down, knees bent, naked except covered in cream lace material (heavy lace). No signage. Lays down only. 19" by 7" tall. Brown human hair, brown eyes.